A beach in Cornwall was the unlikely gathering place for more than 400 technology and business experts to celebrate, following a global conference. 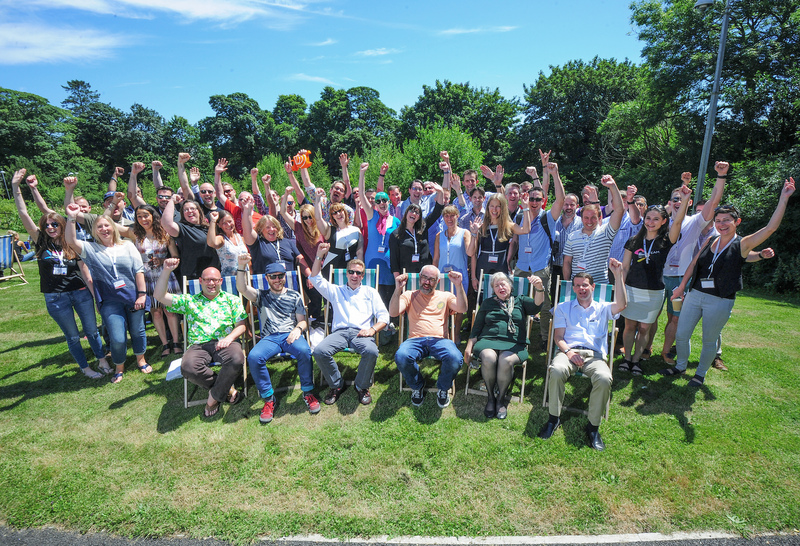 Agile on the Beach, held at Falmouth University, is one of the most popular conferences in the world for Agile practitioners – a specialist project management method that started out in the software industry and is now widely adopted across other sectors. The sell-out conference featured 45 speakers from around the world from Wednesday, July 5 to Friday, July 7, representing brands such as the Guardian, Ocado and Barclays. A high point of the event is a Thursday evening beach party for delegates and speakers at Gyllyngvase, complete with Cornish pasties and beer, followed by a Friday evening boat trip on the Helford River. Toby Parkins, director of Cornwall software development company Headforwards and organiser of Agile on the Beach, said: “Around half of our staff have attended the conference this year. One of our USPs is the beach party and social sessions alongside high quality learning. Keynote speaker Diana Larson attended the conference from the USA. She said: “I’ve encountered pockets of tech in a number of surprising places. I think technical people are drawn to live in beautiful places. Agile on the Beach started out in 2011 with support of European funding, and has since become self-sustaining. In 2015, it was voted third most popular Agile conference in the world, and in 2016 won an award for Agile event of the year. It offers heavy-weight professional development for Cornwall’s fast growing tech sector. According to national report Tech Nation, Cornwall reported 61% growth in technology jobs in Cornwall against a national average growth of 17%. The county also reports 51% growth in tech businesses. As well as welcoming national and international visitors to share their experiences, the local community are well represented with speakers from Software Cornwall, Bluefruit, Headforwards, Being Agile and Mackerel Sky Events, as well as a host of local sponsors and attendees. The conference equally attracts global sponsors and delegates to join the party and network with leaders in the agile community.